One thing Britain is not short of is stately homes and castles. Over the last 100 years or so they may have had a somewhat troubled history, as many property owners have been forced to sell or donate them to the National Trust because of upkeep costs or estate duty taxes. Some have even been demolished. Somerleyton Hall in Suffolk is one of Britain’s most well preserved stately homes and gardens. Dating back as far as 1240, Somerleyton Hall has had many owners. The manor house was built on the site of Somerleyton Hall by Sir Peter Fitzosbert. When the male line of the Fitzosbert’s ended, the Jernegans bought the Hall and lived there until 1604 when John Wentworth acquired it. He transformed Somerleyton Hall into a wonderful Tudor-Jacobean mansion. In 1843, Sir Samuel Morton Peto acquired the property and for the next seven years he carried out extensive renovations. Expensive paintings were commissioned and the gardens and grounds completely redesigned. In 1863, the Somerleyton estate was sold to Sir Francis Crossley of Halifax, West Yorkshire who, like Peto, was a philanthropist, a businessman and a Member of Parliament. The formal gardens make up 12 acres and feature a wonderful yew hedge maze created in 1846. There’s also a ridge and furrow greenhouse and a walled garden featuring a loggia and a 90-metre-long pergola covered with wisteria and roses. 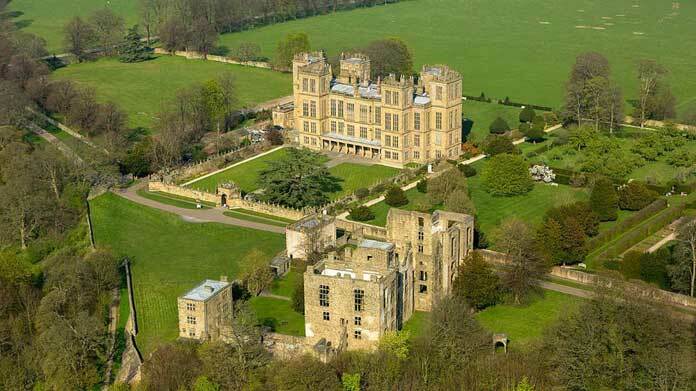 Hardwick Hall in Derbyshire is one of the most magnificent Elizabethan country houses in England. 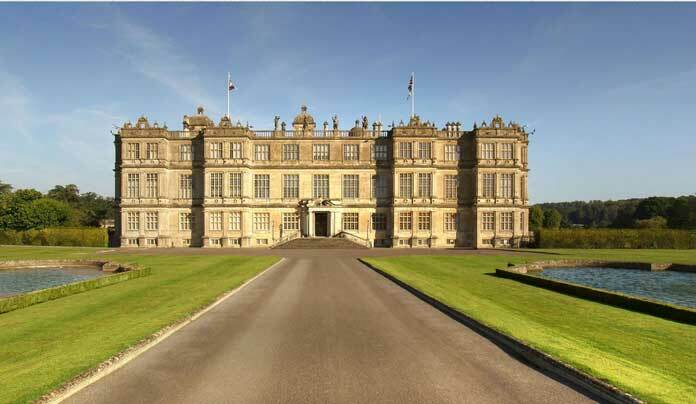 Designed by architect Robert Smythson, whose other buildings of note include Longleat House and Wollaton Hall, Hardwick Hall is one of the earliest examples of the Renaissance style of architecture. It’s situated on a hilltop between Chesterfield and Mansfield, and overlooks the glorious Derbyshire countryside. Originally designed for Bess of Hardwick, Countess of Shrewsbury, in the late 16th century, it remained in that family until it was handed over to HM Treasury in lieu of estate duty in 1956. Thereafter, the house was acquired by the National Trust. Hardwick Hall is a conspicuous statement of the wealth and power of Bess of Hardwick, who was the richest woman in England after Queen Elizabeth I. Each of the three main storeys was built so as to be higher than the one below, and a grand stone staircase leads up to the state rooms. It also has the largest and longest gallery in any house in England and boasts many fine tapestries and furniture from the sixteenth and seventeenth centuries. 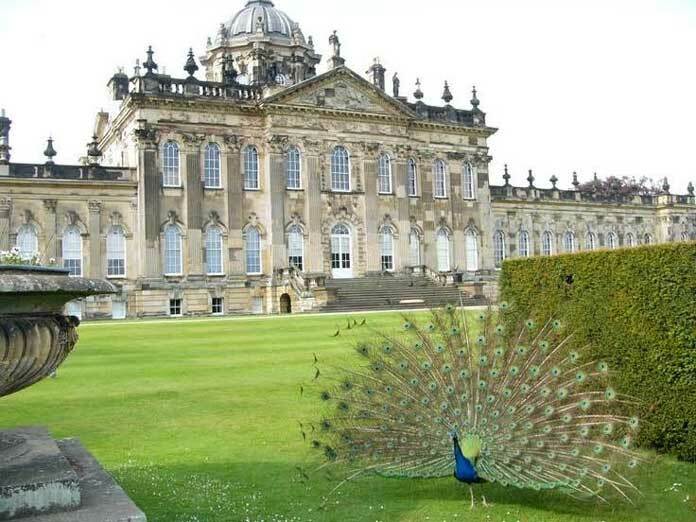 Although not a true castle, Castle Howard is one of the grandest private homes in Britain. It’s located in North Yorkshire, England, close to the cathedral city of York, and was built between 1699 and 1712 for the 3rd Earl of Carlisle. The Castle has been the home of part of the Howard family for more than 300 years and was used in Granada Television’s 1981 adaptation of Evelyn Waugh’s Brideshead Revisited. Today, it is part of the Treasure Houses of England heritage group. 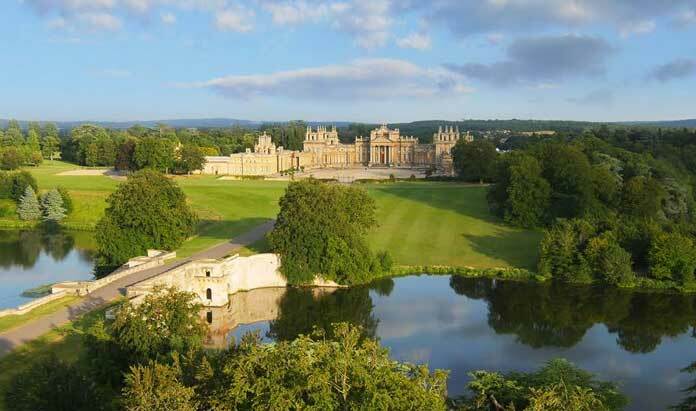 A truly splendid country estate in Oxfordshire, Blenheim Palace is one of England’s largest houses, built between 1705 and circa 1724. Designed in the English Baroque style, it’s unique in that it’s not only a family home but also a mausoleum and a national monument. The palace was the birthplace and ancestral home of Sir Winston Churchill and was the home of the Churchills for 300 years. near Warminster in Wiltshire, Longleat is an Elizabethan country house, with a maze and a popular safari park. The house is set in over 900 acres (364 ha) of parkland, which was landscaped by Capability Brown. The house itself was built by Sir John Thynne, designed by Robert Smythson after the original priory was destroyed by fire in 1567, and is widely regarded as one of the finest examples of Elizabethan architecture in Britain. Lyme Park is one of the largest houses in Cheshire and is Grade I listed. The estate was granted to Sir Thomas Danyers in 1346 and passed to the Leghs of Lyme in 1388. It dates from the latter part of the 16th century but modifications were made in the early 1700s by Giacomo Leoni. It contains elements of both Baroque and Palladian styles. The formal gardens were created in the late 19th and early 20th centuries, and the house, gardens and park are used as film locations and are open to the public. Next articleIs your health insurance policy sufficient?